Zamia Metals Limited (‘Zamia’ or ‘the Company’) is focused on exploration for copper (Cu), gold (Au), molybdenum (Mo) and other metals in the Clermont District of central Queensland. 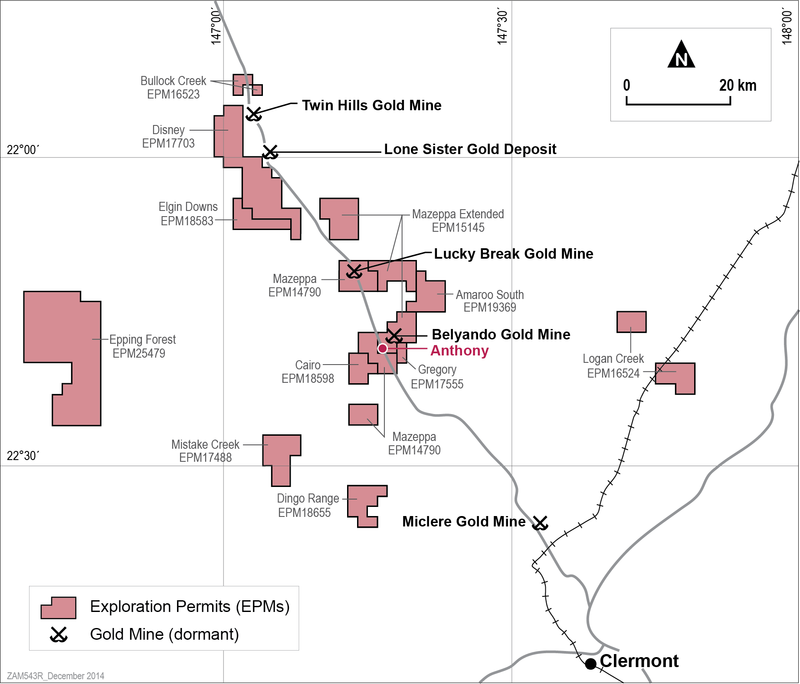 Zamia recognised in this established epithermal gold province the additional potential for bulk tonnage porphyry-type deposits and currently, through its wholly owned subsidiary, Zamia Resources Pty Ltd, holds a highly prospective package of tenements. Zamia holds 13 Exploration Permits for Minerals (EPMs) and a further application which have been offered for grant. These tenements covering 1,000 square kilometres (‘km²’).